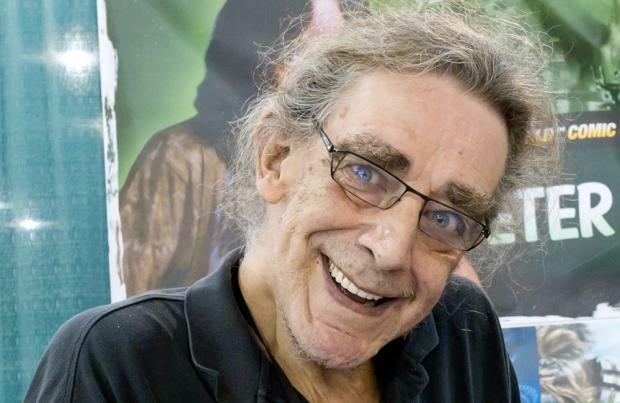 'Star Wars' actor Peter Mayhew has been hospitalised. The 70-year-old star, who plays the Wookiee Chewbacca in the fantasy film franchise, was taken to hospital after falling ill with pneumonia. Mayhew's wife Angie posted a message on the social networking site Reddit yesterday (19.01.15) to inform fans that while he will have to remain in hospital for a few days, he's expected to make a full recovery. She wrote: "Thank you for all the well wishes, prayers, good vibes, and happy thoughts. Doctors are incredibly happy with his improvements." Mayhew - who stands at an incredible seven feet and three inches tall - previously spent time in hospital after undergoing double knee replacement surgery in 2013. A message was also posted from Mayhew's Twitter account, reading: "Hey all, @Webmaster_Rick here. Peter is recovering well from his bout of pneumonia. He thanks you for the well wishes!!! (sic)"
The London-born actor is set to reprise his role as Chewbacca in the highly anticipated 'Star Wars: The Force Awakens', which was filmed in the Abu Dhabi desert and at England's Pinewood Studios. The film is slated for release on December 18, 2015.